If you're a craft beer lover in North Texas and not familiar with the Bluebonnet Brew-Off, you probably should be. Now in its 30th year, the Bluebonnet is the largest single-site homebrew competition in the country. And, while it focuses on the hobbyist, the event brings together both professional and amateur brewers in a celebration of the beer community like no other in our local area. Part of that community aspect involves collaboration, and it's something that will be on display when Rabbit Hole Brewing Co. introduces its newest beer, a joint effort between the brewery and the 2015 Bluebonnet "Best in Show" winner David Toups. 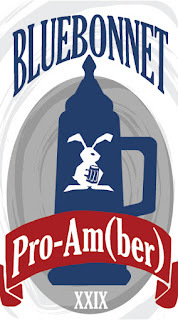 Bluebonnet XXIX Pro-Am(ber) is based off of Toups' award-winning recipe for an American-style amber ale, and both he and Rabbit Hole are hoping it's a product that proves that these types of beers are flavorful and not boring. Described as having "a candy-like maltiness, with generous citrus and tropical fruit notes," Pro Am(ber) is said to be "bold enough to stand up and scream 'Session Me!' and subtle enough to allow you to do so." 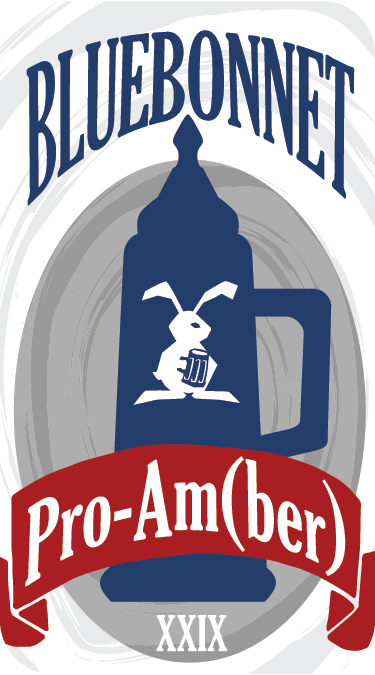 Pro-Am(ber) will make its debut during this year's Bluebonnet as part of the annual Tasting Glass Evaluation Clinic, which happens Friday, March 11 at 8 p.m. After that, it will be available on tap at the brewery and select draft accounts around the Metroplex.